Share a Coke with your Dad this Father’s Day with this special limited edition aluminum Dad bottle from Coca-Cola. It has the message ”Share a Coke with Dad” printed on it.... Books on Coke. Bill Porter writes/sells the "Coke Bottle Checklist" which covers the history, rarity, and pricing (general) of embossed, crown-top Coke bottles with script trademarks (i.e. Coca-Cola in italics). The biggest shake-up in the design of the Coke bottle came in 2013 and 2014, when Coca-Cola introduced the "Share a Coke With" campaign, for which Coke bottles …... Check out coca cola bottle 600ml at woolworths.com.au. Order 24/7 at our online supermarket If you are using a screen reader to navigate the Woolworths website please select the “Accessibility On” switch in accessibility settings. Update: Coke chooses another 50 names. 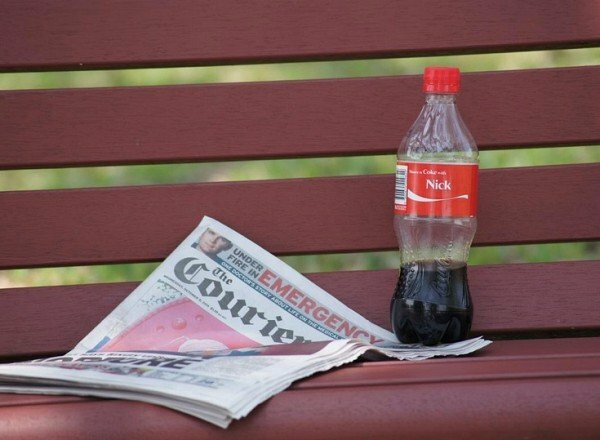 Coca-Cola is putting people’s names on its bottles and cans for the first time in its history as part of its ‘Share a Coke’ campaign in the run-up to... The most common of these is Diet Coke, along with others including Caffeine-Free Coca-Cola, Diet Coke Caffeine-Free, Coca-Cola Zero Sugar, Coca-Cola Cherry, Coca-Cola Vanilla, and special versions with lemon, lime, and coffee. Coca-Cola ™ would create an innovative direct-to-consumer program, and let anyone customize a coke bottle with their name. Coca-Cola ™ needed a unique product that seamlessly combined customization and social media to boost the brand while generating instant credibility with Millennials.... Canadians are getting to know their Coke bottles on a first-name basis. This summer, approximately 25 million personalized bottles will be distributed from Coca-Cola Canada’s facility in Brampton, Ont. as part of the company’s “Share a Coke” campaign. 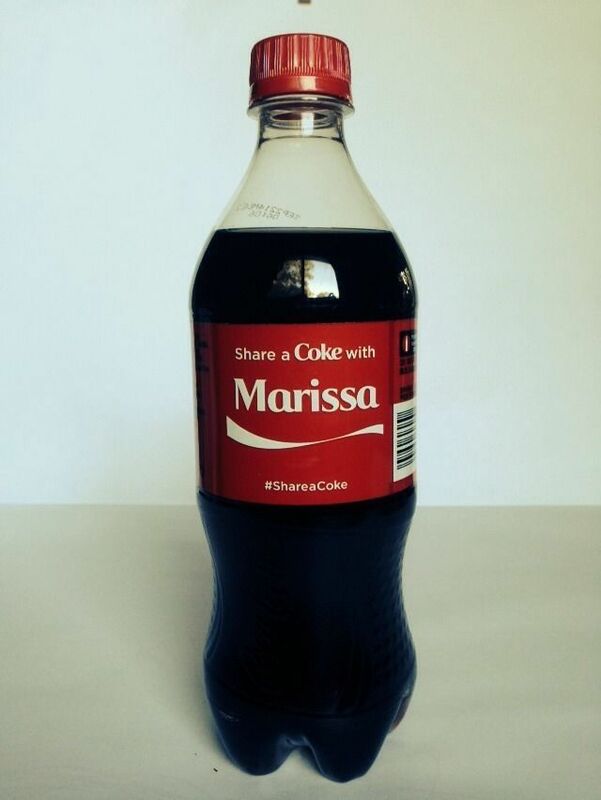 It allows you to purchase personalized coke bottle where your name, your friends’, and love ones’ are printed on it, instead of the typical logo. Share A Coke campaign is just another way of telling their loyal customers to share happiness by sharing a bottle of Coke soda to those people that makes them happy. 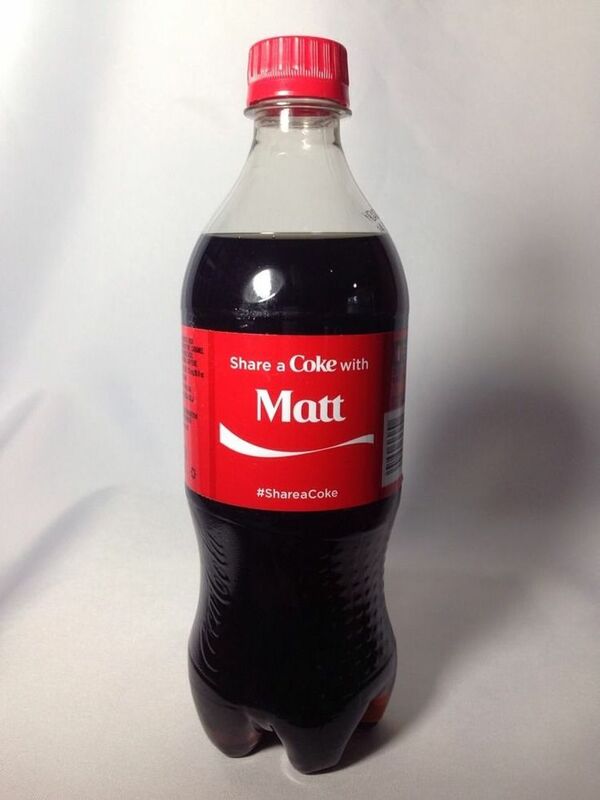 The company has flooded retailers with bottles of its flagship soda adorned with people's names as part of its #ShareaCoke promotion (this idea was first introduced in Australia in 2011).